Mercedes fans in India will be thrilled to know that Mercedes has launched the new 2012 ML350 in India for a price of Rs 66 lakhs (ex-showroom Delhi). The German luxury carmaker will bring the first 100 units, with AMG styling, via the CBU route. The 2012 ML350 SUV will be locally assembled later this year and a cheaper variant will be launched for Rs 56.90 lakh (ex-showroom Delhi), without the AMG-bodykit. 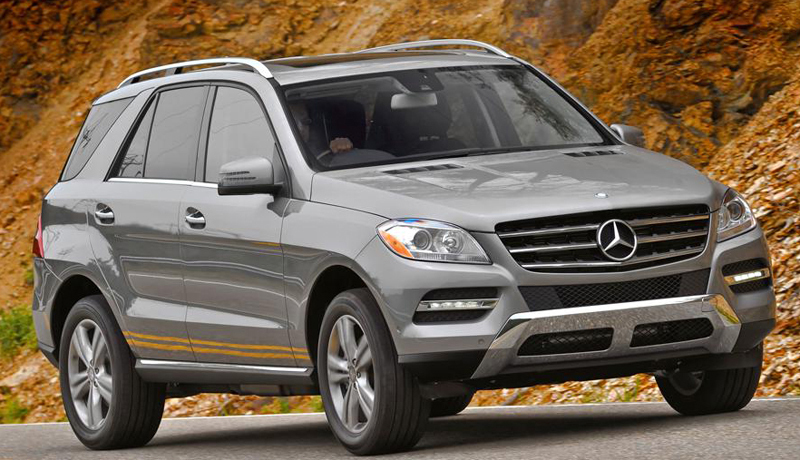 Mercedes had showcased the ML350 SUV at the 2012 Auto Expo held in January and had planned to launch it in April. However, the hike in customs duty prescribed by the Union Budget had delayed its plans. The new 2012 ML350 SUV will replace the model currently sold in India and comes with some upgrades. It is powered by a 3.0-litre diesel engine like its predecessor with some performance upgrades and improvements in efficiency and lower emissions. The 5-seaterproduces maximum power of 231hp at 3800rpm and an awesome 620Nm of torque at 1600-2400rpm, enough to take the 2175 kg SUV from 0 to 100 kmh in 7.4 seconds flat! Mercedes will offer a 7-speed 7G-tronic gearbox with the SUV, along with permanent four-wheel drive, brake energy recuperation functions and automatic start/stop. The new ML350 SUV looks not only more aggressive, but also more appealing than the previous version, with cool cut-wheel arches, AMG style vents on the bonnet and a large front grille sporting the big Mercedes logo at the centre middle. Mercedes has not neglected the interiors and given them some attention too, with some upgrades that give a spacious and refreshed look. The dashboard looks awesome with an instrument panel resembling that of a fighter jet, central console features and AC vents. The seats are extremely comfortable. Since the vehicle is meant for rough-terrain, safety features have been beefed up with NECK-PRO crash responsive head restraints, two stage front airbags, sidebags in the front and windowbags, optional rear sidebags, energy absorbing rear and front structures, self-supporting body, belt tensioner, PRE-SAFE system, the anti-lock braking system (ABS) and acceleration skid control (ASR), ESP/4ETS dynamic handling control system and several more are expected. 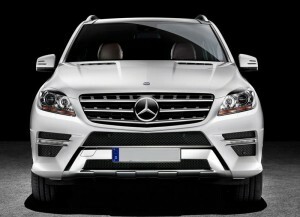 The Mercedes ML350 SUV will compete against other majors of the luxury SUV segment, like the BMW X5 and the Audi Q7. 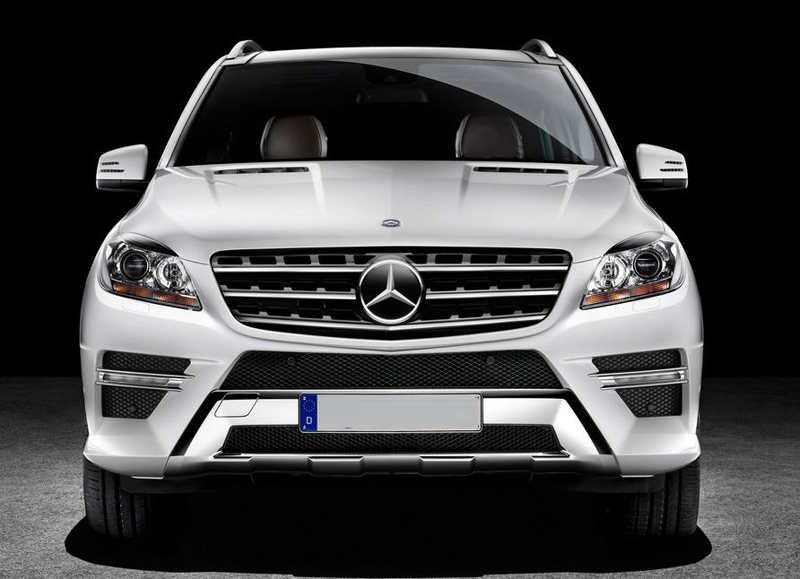 This is one luxury car which the “I want the best” consumer is eagerly waiting for – the new Mercedes Benz M-Class. 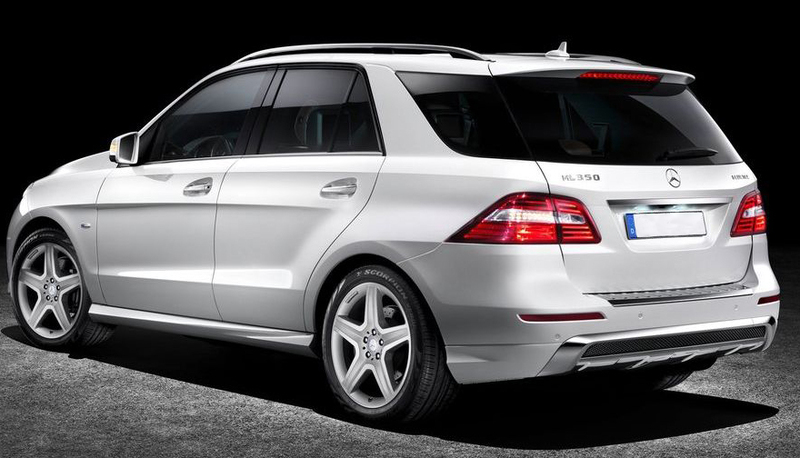 When the M-class was first introduced a few years back it had immediate takers. Launching the new version would do two things. The old M class owners would go for a trade immediately and for the first time buyers, the wait would have been worth it. 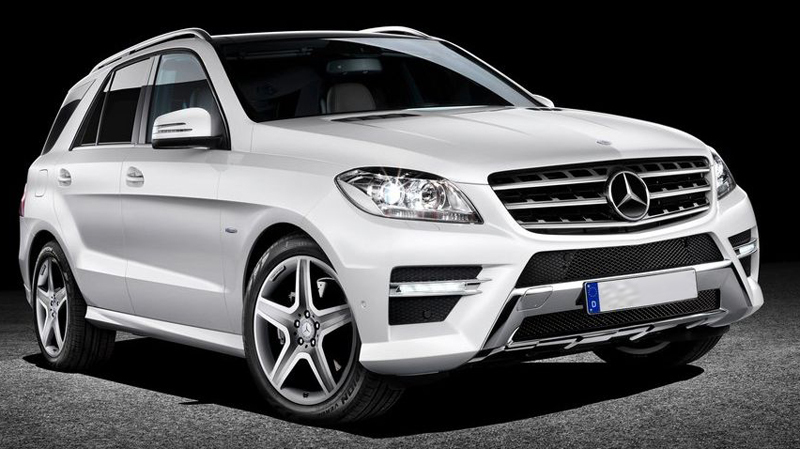 Auto enthusiasts, specially the die-hard Mercedes fans would be eager to test drive the new and improved M-class as the older model was a great graceful cruiser, in low or high speeds, with a tar kissing road grip. A first quick look at the car reveals a more alluring metal look and you immediately notice that in length it has been increased. It is 23mm longer to be precise. This car is also wider by approximately 15mm gives it a wider road hugging look, with car height level being reduced by 20mm. Gone are the conventional looks and instead the feel and look is more vibrant, more forceful. The all too famous logo of the Mercedes Benz takes its appreciative place atop on a bigger grille which protrudes magnificently from the finely chiseled wheel archways. The rear bumper integrates a mini sleeker diffuser, aerodynamically designed. The vents are AMG styled just over the bonnet. This car oozes optimism yet bears its traditional resemblance and leaves you feeling that here is a car which would whiz by its competition, making other cars in this segment an indistinguishable blur. The New Mercedes Benz M-Class will be introduced in India initially with two engines with a smooth and effortless 7-speed automatic G Tronic gearbox. So is the start and stop functionality of this car with an all-wheel drive coordination. The car houses a powerful V 6-cylinder and can accelerate from 0 – 62 in under 7 seconds. The diesel version is a rocker with hardly any vibration, which is generally associated with diesel engines. 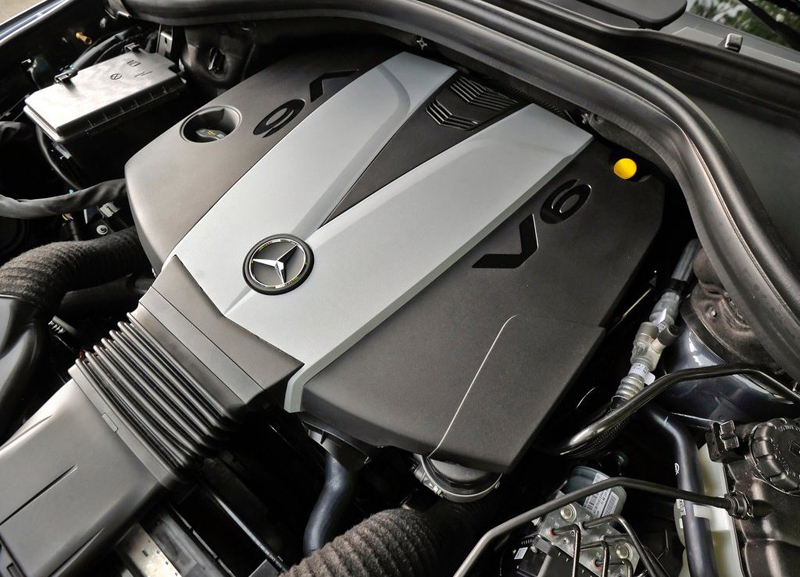 The New Mercedes Benz M-Class houses a powerful V 6-cylinder engine and can accelerate from 0 – 62 in under 7 seconds. The engine displacement is 2987/v6 with the power at 224/3800 BHP. Within city limits, this car will drive at 7kms per liter and in highway conditions it gives a mileage of 12kms per liter. The engine gives a torque of 350/5000kgm. The New Mercedes Benz ML350 is loaded with safety features like anti-lock brakes, electronic stability, and rear parking sensors besides the mandatory airbags. 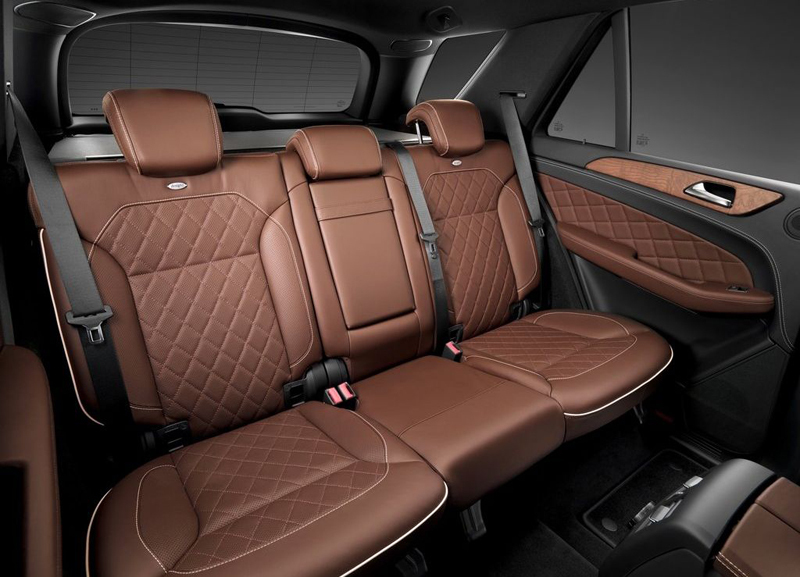 The New Mercedes Benz M Class is opulence personified as far as interiors are concerned. The instrument panel is top notch and truly high-tech. The view from the driver’s seat gives nearly a panoramic view of the road ahead. The internal trimmings are smooth and one should only caress the interior door handles which open effortlessly. This vehicle seats five, but will not cramp passengers as it has ample leg room.